to serving the needs of financial professionals like you. The financial management software provider that's 100% committed to finance professionals. Every quarter, we deploy new product capabilities – the fastest pace of innovation in the finance software industry. As a result, we’ve pioneered numerous firsts in finance management: the first consolidation system, the first to integrate with Salesforce, and the first professional financial management system. Join the thousands of customers that trust Sage Intacct for consistent, reliable, and innovative financial management solutions to drive their business. And you can have confidence that we’ll always be striving to do better, so that it's easy for you to do your best, too. We get it. You need total command over your financial management software. You need to be able to make changes as your business evolves. And you don’t want to wait for custom coding from IT. That’s why we’ll always offer easy point-and-click configuration. Tailor your own finance software screens, transaction workflows, and more. Change or create financial reports with a few clicks. And get the answers you need, without waiting. The AICPA chose Sage Intacct as its preferred provider of financial management solutions. 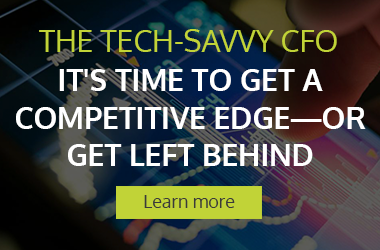 Only a solution that offers a modern accounting architecture and rock-solid, multi-ledger, GAAP-compliant financials could claim these bona fides. Their due diligence lets you know that you are evaluating today's most advanced financial management software solution.